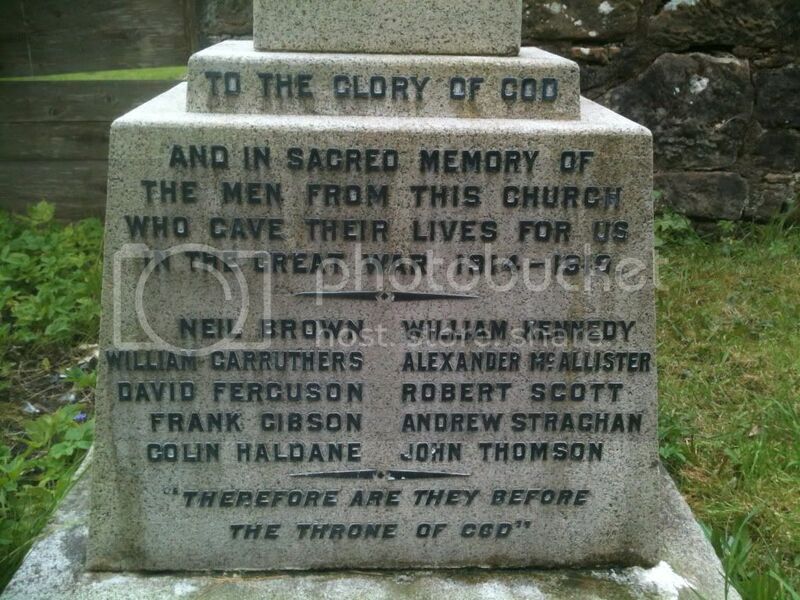 This stone memorial is adjacent to the boundary wall of the church grounds, opposite the south east corner of church, by the entrance to the carpark. 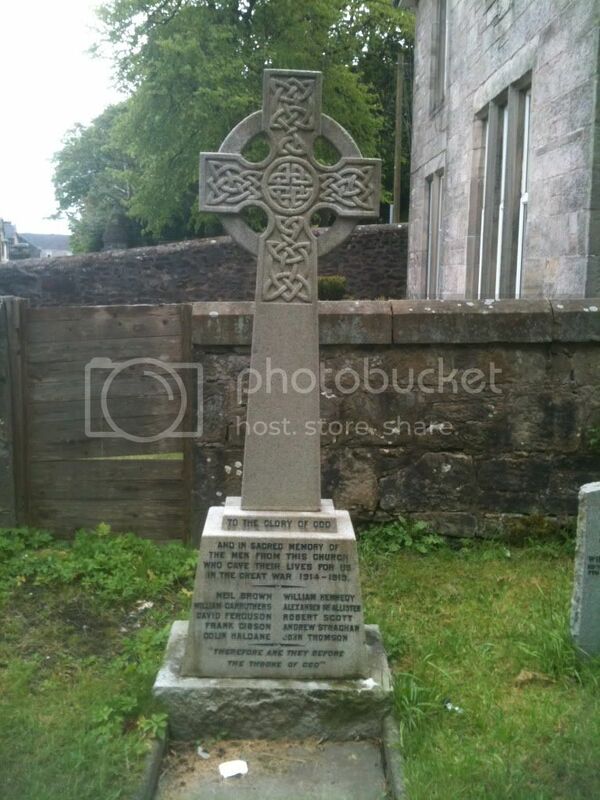 Overall, 3m high Celtic cross with wheel on stepped tier. 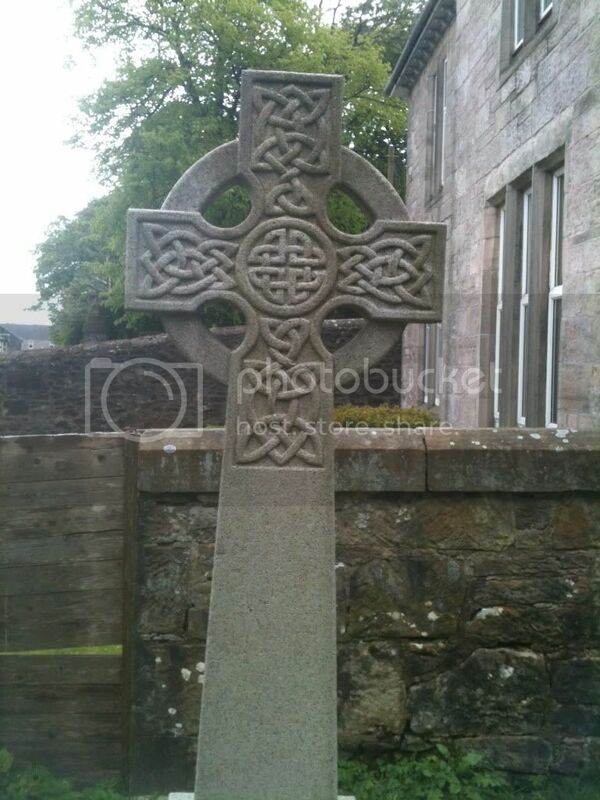 Cross in relief celtic knotwork. Wheel and shaft of cross are plain. Shaft of cross rises from a three tier plinth. Lowest tier rough dressed stone. No inscription. Second and third tiers of smooth dressed stone and bear inscriptions. IN THE GREAT WAR 1914 - 1919.